FAIRFAX, Va. (June 11, 2015)- Attorney General Mark R. Herring and Fairfax County Commonwealth's Attorney Raymond F. Morrogh announced that Joseph Gaskins, 25, of Centreville, Va., pleaded guilty today to distribution of heroin, including a sale that resulted in the death of a 20 year old Herndon man. The announcement came after Fairfax County Circuit Court Judge John M. Tran accepted Gaskins's guilty pleas. "Heroin fatalities in Northern Virginia have more than doubled in recent years, reflecting a troubling trend we're seeing across the Commonwealth," said Attorney General Herring. "My team and I are forging important partnerships to hold dealers accountable for spreading these dangerous drugs, especially when their reckless and callous choices lead to the death of another Virginian. We have a long way to go in turning this problem around, and prosecutions will only be one part, but we want to make it clear that we won't tolerate criminals profiting off of addiction." "This case is a sad reminder of the danger posed by those who sell narcotics in our community," said Commonwealth's Attorney Morrogh. "Our office will continue to partner with the OAG to vigorously prosecute those who distribute these deadly substances to our citizens." Gaskins pleaded guilty to conspiracy to distribute heroin, five counts of distribution of heroin, and one count of possession with intent to distribute heroin. Each conviction carries a statutory sentencing range of imprisonment for not less than five, not more than 40 years, and a fine of not more than $500,000. Gaskins will be sentenced on September 11, 2015. 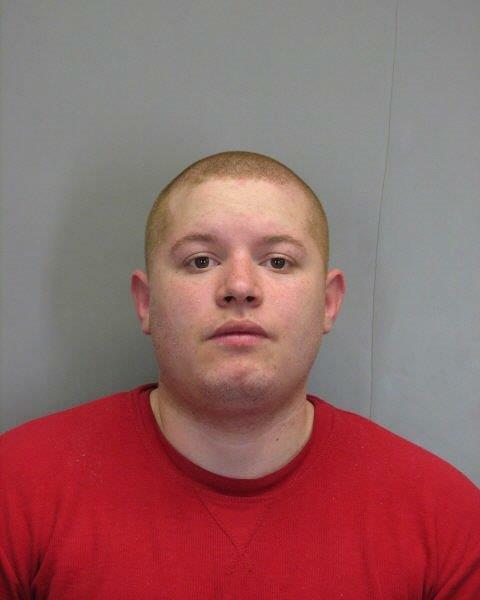 According to a statement of facts presented in open court, between January 2014 and August 2014, the defendant conspired with a Baltimore-area drug dealer to distribute heroin in the Centreville area of Fairfax County, Va. On January 6, 2014, the defendant sold heroin to a 20 year old Herndon man who died the following day of a drug overdose from the heroin that the defendant had supplied to him. On four other occasions in 2014, the defendant sold heroin to confidential police informants. Investigators also recovered heroin from the defendant when they arrested him in 2014. This case is being prosecuted by Virginia Assistant Attorney General Marc J. Birnbaum and Fairfax County Deputy Commonwealth's Attorney Robert D. McClain following an investigation by the Fairfax County Police Department, Town of Herndon Police Department, and the Northern Virginia multi-jurisdiction grand jury. As part of his five point plan to combat the troubling spike in heroin fatalities in Virginia, Attorney General Herring is partnering with local and federal prosecutors to pursue more cases against heroin dealers, especially those whose drugs lead to a death. He also won passage of key legislationthis year to help prevent heroin fatalities, and is currently developing training materials to assist law enforcement in combating heroin in their communities.